Just a quick update to the ME Blogger list. Please visit and say hello to the latest ME Bloggers! If you are a current ME Blogger and have not received your FREE NAXOS ONLINE MUSIC LIBRARY SUBSCRIPTION PLEASE LET ME KNOW VIA THE CONTACT TAB ABOVE! 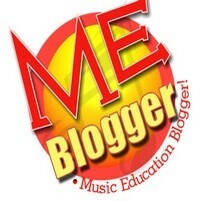 Also, please check the 100 Music Education Bloggers Status Page for more information about the ME Blogger Campaign and how to get your own ME Blogger Graphic for your site! I’m still waiting to “hear” back from a couple of you, if you’re one of them, let me know ASAP!